You are interested in purchasing a high-quality car. More than anything, you want to know that the vehicle that you bring home is going to last. 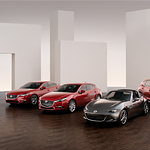 When you purchase through the Mazda Certified Pre-Owned program, you can get a high-quality vehicle at a great price. 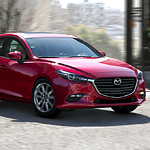 Every component on the vehicles that are part of Mazda Certified Pre-Owned has been carefully examined. If you are looking at one of the vehicles that is part of this program, you can know that someone looked at it before you and that they made sure that there were not any issues with it. The Buick Envision, a popular small luxury SUV, is an innovative vehicle that offers drivers and passengers the option of not having to leave home without their electronic devices. With technology big in all areas of our lives, we seldom want to leave our phones and devices at home, which is why the Buick Envision is so popular with drivers of all ages. Stop at Budd Baer Auto and allow us to show you the Envision’s many features. If you are in the market for a vehicle, you are probably not looking for something that rides rough and is hard to control. We have a vehicle that is the opposite of that at Budd Baer Auto. 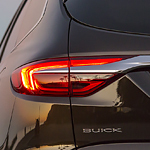 This vehicle is known as the 2019 Buick Enclave. 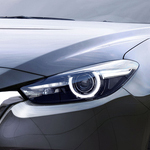 A lot of thought has been put into the features and overall design of the vehicle. As one of the most popular hard top convertibles for decades, the Mazda Miata has a dedicated following among professional race drivers and amateurs alike. The new Mazda MX-5 Miata RF trim brings plenty of power to the list of design and performance features and is sure to excite drivers who are already enthusiasts of this vehicle class. If you want peace of mind when purchasing a previously owned vehicle in Washington, then purchasing a Buick through the Certified Pre-owned (CPO) program will meet your criteria. With many comprehensive benefits, it's easy to understand why repeat buyers choose the program for high-quality vehicles. Technology and driving have become one in the same as of late. Mazda3 vehicles now make it easier than ever for you to incorporate your smartphone into the driving experience. This means that you can ride around in style and get all of the latest news and even sports scores delivered to you right when you need them. The compact luxury SUV class is one that is growing in popularity. 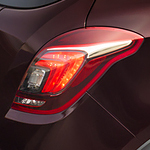 Drivers who appreciate a cabin with all the modern comforts and technology but who require the utility and rugged design of an SUV will love the Buick Encore, a vehicle set to deliver exactly what drivers want. The GMC Sierra 2500HD is a popular heavy-duty pickup truck, capable of hauling heavy loads over a variety of terrains with rugged dependability. Its exterior features aid this truck in working to its utmost ability while also giving it a touch of style.